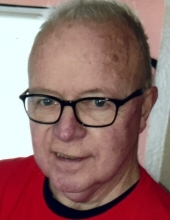 Charles William Waller, 72, or Perrysburg passed away surrounded by his family on Sunday, April 7, 2019 at Hospice of Northwest Ohio, Perrysburg. He was born on October 14, 1946 to William and Jeanette (Gauthia) Waller, Jr.
On May 21, 1971 he married his best friend, Lucinda “Cindy” Brown in Toledo; together they shared 47 loving years of marriage. Chuck worked as a railroad conductor at ConRail and Norfolk & Southern for several years before retiring in 2009. He was an avid Cleveland Indians fan and the former co-owner of Batter’s Box Sports Card Shop in Toledo. Chuck was a member of Cedar Creek Church, Perrysburg where he was a greeter and led the Wednesday morning Men’s Bible Study. He and his wife Cindy also belonged to the Cedar Creek Life Group. He will be remembered as a loving husband, father, grandfather, great-grandfather, friend; who tried to be a strong witness of Jesus and the Gospel. Surviving is his loving wife, Cindy Waller; children, William (Samantha) Waller, Molly Wilkes, and Chuck (Michelle) Waller all of Toledo; 12 grandchildren; and 16 great-grandchildren. Chuck is preceded in death by his parents and daughter, Tabitha McGhee. Services will be private for Chuck’s family. Memorial donations may be made to Cedar Creek Church, Perrysburg. To plant a tree in memory of Charles William Waller, please visit our Tribute Store. "Email Address" would like to share the life celebration of Charles William Waller. Click on the "link" to go to share a favorite memory or leave a condolence message for the family.